IFA 2014 has created quite a buzz with the new releases made by Samsung and Sony. Its now Motorola’s turn, the new Moto G, Moto X and Moto 360 smartwatch have been announced and looking at them we can say Motorola is gonna have a progressive year this time too! We shall talk about each release in brief below. Lets start with the most-looked onto smartphone Moto G! 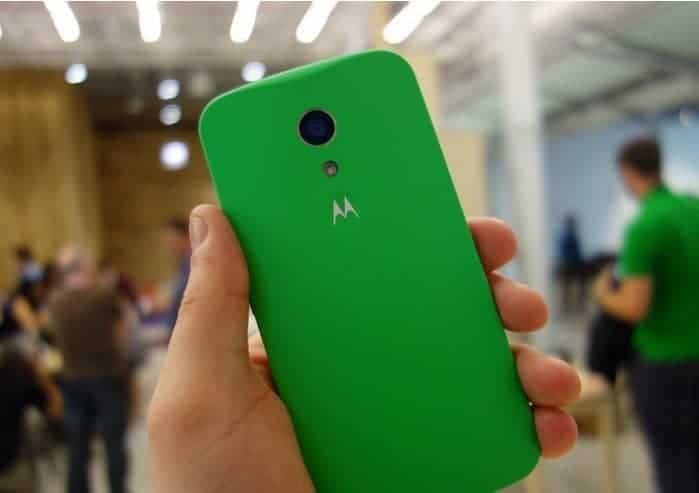 Motorola announced the new version of Moto G and it ddoesn’tlet us down. The smartphone which is already a low-cost phone is given a display and camera upgrade. The Moto G comes with a 5-inch screen having 720-p resolution. The camera is now an 8MP one. It runs on a 1.2GHz Quad-core Snapdragon 400 CPU. Moto G has 1 GB ram and 8GB storage with a “SD-CARD” slot! (Thank you) The phone has had a worth noting upgrade in its audio department. The smartphone boasts 2 front speakers for clear-crisp sound. The battery is 2070mAH which is quite sufficient. Phone comes with Android 4.4.4. The new version of Moto X has been given some touch up too! 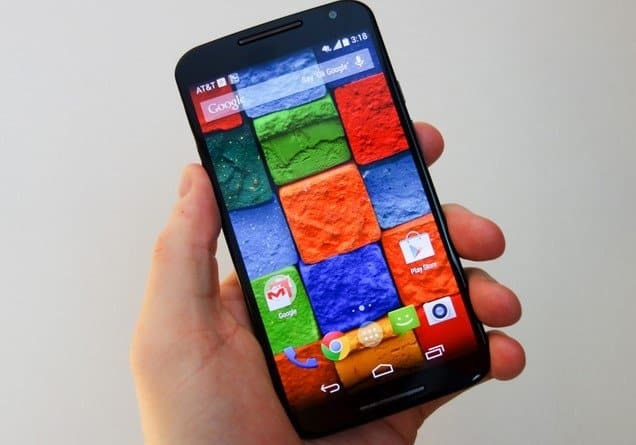 The new Moto X now features a 5.2-inch 1920×1080 AMOLED display. It runs on Qualcomm Snapdragon 801 processor with an Adreno 330 GPU. Moto X has 2GB of RAM, 16GB and 32GB storage options and no microSD card slot. There’s also a 13MP camera on the back which can do UHD(ultra HD) or 4K and has 4x zoom with a secondary 2MP camera on the front that does 1080p HD video. Battery embedded is a 2300mAh which we think is kinda less though. But the Android 4.4.4 with optimization will help cramp up the extra juice. The phone will be available in US, UK, France, Germany. India still has to wait to see the phone in their hand. Motorola’s IFA 2014 hasn’t been disappointing so far. After teasing and hinting for months and months, the much much awaited smartwatch Moto 360 is out now in IFA 2014. 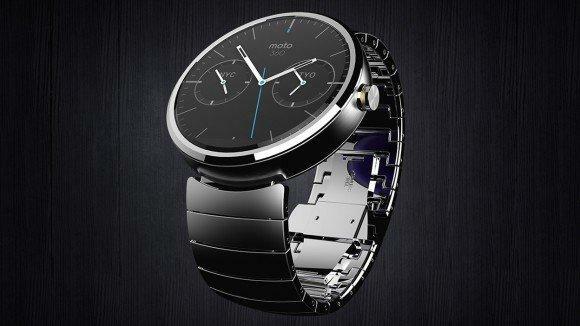 Motorola has announced that the leather band Moto 360 will cost $249, and the steel band Moto 360 will be $299. No words as to when it will be available in India. 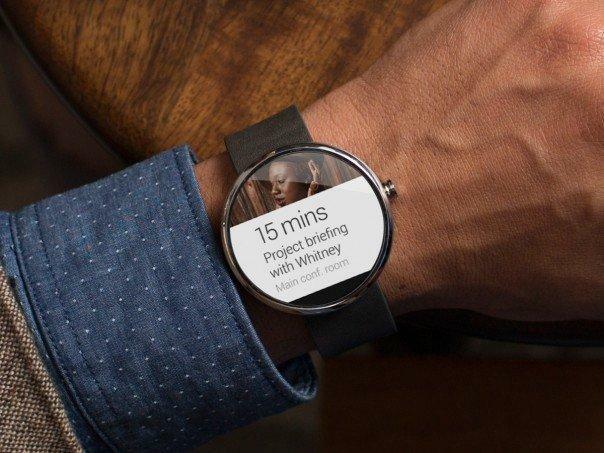 The smartwatch comes with a 1.56inch of screen with a 320x290p resolution. It has 4GB of internal storage, 512MB of RAM and a Texas Instruments OMAP 3 processor. A 320mAh battery is under the hood, which Moto says will last a day of ‘mixed use’. Moto 360 has a IP67 certification. Do keep a watch on our site or our live feed post as we bring in all the updates from IFA 2014!